Commercial Collection Agencies of America announced that its inaugural meeting held October 9-11 in Delray Beach, Florida was an overwhelming success and attracted more members than expected. 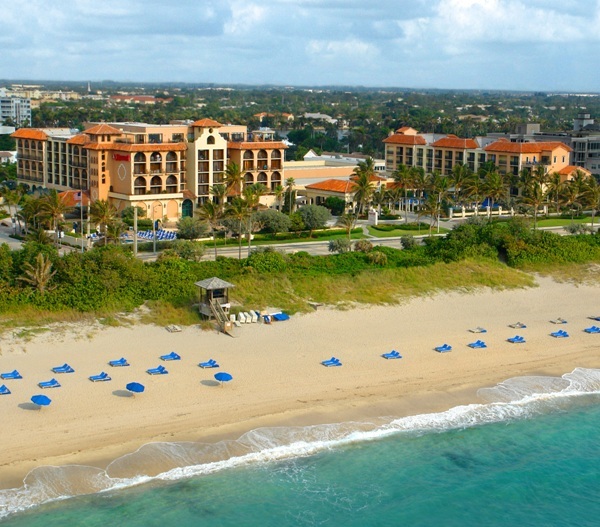 Collection agency owners/representatives, creditors’ rights attorneys and law list representatives and their guests met at the beautiful oceanfront Marriott Delray Beach for continuing education sessions, lively and informative speaker presentations and interactive panel discussions and social events. Members enjoyed a welcome cocktail reception and dinner to kick off the three day meeting on Thursday evening. Friday morning’s official networking session’s new and novel format ensured that every attendee met one another during the two and half hour session. Friday afternoon’s educational sessions instructed the members on “The Art of Getting Paid” and “Conflict Management”, in addition to learning about the “Pursuit of Corporate Insiders and Business Successors on Corporate Debt." Members commented that both attorneys and agencies benefited from this type of educational programming. After a full day of education and networking, members and guests were treated to a cocktail party in an open air Atrium with NFL alumni players. Socializing with and signing autographs for members were NFL Hall of Fame’s Dwight Stephenson, who was on the Pro Bowl squads from 1983 to 1987; Mark Higgs, who led the Miami Dolphins in rushing from 1990-1993; Shawn Wooden, a Notre Dame graduate who played nine seasons for the Dolphins and Chicago Bears and Jeff Cross, a Dolphins alum a Pro Bowl player in 1990. The players later met the attendees later after dinner at the member Beach Party. Fun was had by all! On Saturday, members attended the first general membership meeting, which was a forum for discussing the organization’s peerless certification program, the direction of the group and volunteers populated the numerous committees of the organization. Members shared valuable suggestions for future initiatives of Commercial Collection Agencies of America. Member dinners, luncheons, rounds of golf, pool time with sunny, Florida weather, a tailgate party and Sunday’s nail-biting Miami Dolphins-Green Bay Packers game rounded out the member’s entertainment during the rest of the weekend! “Our membership came together to discuss the current landscape of the debt collection industry, while benefiting from excellent education and networking. Although members have associated for decades, this new organization and its meeting format are filled with bright and innovative ideas,” commented Meg Scotty, a director of the organization. “Many members commented they were able to make new business connections that will lead to increased bottom lines for their firms in 2015” commented Fred Wasserspring, the organization’s treasurer. Commercial Collection Agencies of America’s membership continues to soar since its formation in May, 2014. The members, marked by their experience, expertise, ethics and education, work to elevate the standards of the commercial debt collection industry. The four pillars, as they are known, not only form the strong base upon which the organization is founded, but are embodied in each of its members. “All of our members have been certified previously, most for decades and are veterans in the debt collection industry. Agencies qualify for membership by meeting rigorous certification requirements set by an independent standards board and adhering to a strict code of ethics. Commercial Collection Agencies of America is the ONLY certifying body in which all members are certified,” commented another director, Bruce Godwin. Credit Today, "the premier online portal for trade credit professionals," recently interviewed veteral collection industry expert Emil Hartleb on the significance of Commercial Collection Agencies of America's new Standards Board. Click here to read the interview and learn more about what the Commercial Collection Agencies of America means to the commercial collection industry.